What is the state of Florida's definition of a "body piercing"? What is the state of Florida's definition of "operator"? What is the state of Florida's definition of "piercer"? What are the requirements to practice body piercing in the state of Florida? Where can I get body piercing training? How do I apply for a body piercing salon permit? How much does the body piercing salon permit cost? What other forms do I need for my body percing salon? Where can I locate the requirements for a body piercing salon? Are there requirements for the operator? What is a sterile field? I can use any gloves out of the box to pierce, correct? Why are my packages wet after sterilization? What type of autoclave or sterilizer should I use? What types of autoclaves or sterilizers are not accepted? 1. What is the state of Florida's definition of a "body piercing"? Section 381.0075, Florida Statutes, defines body piercing as for commercial purposes, the act of penetrating the skin to make, generally permanent in nature, a hole, mark, or scar. 2. What is the state of Florida's definition of "operator"? Section 381.0075, Florida Statutes, defines an operator as an individual designated by a licensee to control the operation of an establishment [body piercing salon]. 3. What is the state of Florida's definition of "piercer"? Rule 64E-19.002, Florida Administrative Code, defines a piercer as any person who performs body-piercing procedures in an establishment regulated under this chapter. 4. What are the requirements to practice body piercing in the state of Florida? Body piercing is a regulated industry in Florida with the licensure required for the body piercing establishment. Each body piercing establishment must meet all the requirements for licensure as stated in Section 381.0075, Florida Statutes, and Chapter 64E-19, Florida Administrative Code, which also can be found at Body Piercing Homepage. You may access the Application for Body Piercing Salon License using the following link: Body Piercing Salon License. Applications should be submitted to the local Department of Health office having jurisdiction of the body piercing program in the county in which the business is located. Individual body piercers are not licensed or certified in Florida. Prior to conducting body piercing and annually thereafter, body piercers and operators are required to attend a Department of Health approved Body Piercing Training Course. This course covers regulations and requirements for operating a body piercing establishment in Florida, sterilization procedures, aseptic technique and infection control issues. You may access a list of the courses on our website at: Body Piercing Training Courses. It is also recommended that you contact the individual providers listed, as the Department may not yet be aware of any upcoming classes. In addition to the body piercing establishment licensure, a biomedical waste generator permit must also be obtained for the location of the business. You may access this application through the following link: Application for Biomedical Waste Generator Permit and submit it to the local county health department whose address can be found at the following link: Local County Health Department Contacts. 5. Where can I get body piercing training? Scheduled training and contact information may be found at the following link: Body Piercing Training Courses. The Department may not be aware of all upcoming trainings, so it is recommended that you contact the providers individually to see if they have a training scheduled. 6. How do I apply for a body piercing salon permit? Complete the Application for Body Piercing Salon License and send with fee to your local County Health Department. You may access the application using the following link: Body Piercing Salon License. You may access contact information for the County Health Departments using the following link: Local County Health Department Contacts. 7. How much does the body piercing salon permit cost? The state fee is $150, but there may be additional county fees. Call your local County Health Department having jurisdiction of the body piercing program to learn if there are any additional fees. 8. What other forms do I need for my body percing salon? Injury Report Form - Operators of body piercing salons must report any injury or complaint of injury. A completed Injury Report Form should be sent to the licensing county health department within 72 of the operator becoming aware of the complaint or condition. 9. Where can I locate the requirements for a body piercing salon? Rule 64E-19.004, Florida Administrative Code, and section 387.0075, Florida Statutes, provides the requirements for body piercing salons. The Comprehensive Environmental Health Inspection Checklist for Body Salons may also be useful as it lists the requirements stated in these regulations. 10. Are there requirements for the operator? 11. What is aseptic technique? Aseptic techniques are methods used in piercing procedures to prevent contamination of a pierced area by pathogenic organisms. This includes maintaining a sterile field, using sterile instruments and jewelry, and wearing sterile gloves. 12. What is a sterile field? A specified area, free of microorganisms, which holds the sterile equipment and jewelry. The Guidelines for Creating a Sterile Field may be useful as it identifies different ways to create a sterile field. 13. I can use any gloves out of the box to pierce, correct? 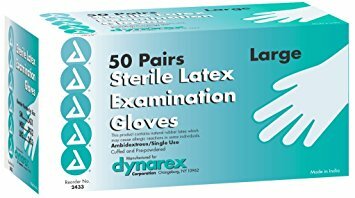 Non-sterile gloves (gloves sold by the box) may be used when prepping the customer's skin prior to piercing and setting up the sterile field. 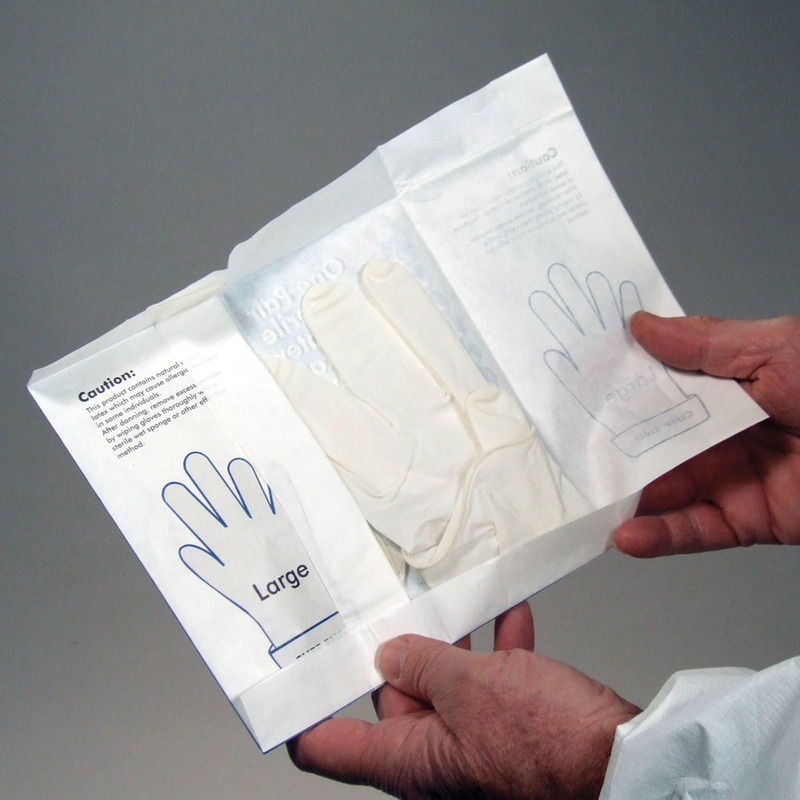 Sterile gloves (sterile individually packaged gloves) must be worn when performing the body piercing procedure. 14. Why are my packages wet after sterilization? If your packages are still wet after sterilization, either you did not allow the autoclave to complete its dry cycle or loaded the autoclave incorrectly (stacked packages on top of each other), or the autoclave is malfunctioning. 15. What type of autoclave or sterilizer should I use? A body piercing salon shall have a steam autoclave for sterilizing instruments. Steam autoclaves only use water for sterilization. 16. What types of autoclaves or sterilizers are not accepted? We do not allow Prestige or Chemclave autoclaves. The Prestige autoclave is manufactured to sterilize unpackaged instruments. The Chemclave is a sterlizer, not an autoclave, which uses a chemical for sterilization.